Address: Prinsengracht 112, 1015 EA Amsterdam, Netherlands. Amsterdam Cheese Museum is a one of a kind museum that you can enjoy with your family and friends. As the name suggests the destination is famous for its different types of cheese. Visit the destination and have a different experience altogether that you will not forget. The place is a bit smaller than the Dutch Cheese Museum in Alkmaar but visiting becomes a good idea due to its collection of cheese and its location. Take a tram or bus from Amsterdam, Westermarkt. 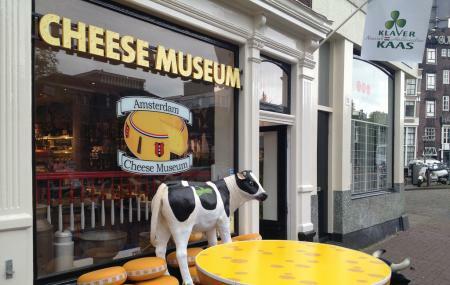 Amsterdam Cheese Museum Address: Prinsengracht 112, 1015 EA Amsterdam, Netherlands. How popular is Amsterdam Cheese Museum? People normally club together Anne Frank House and The 9 Streets while planning their visit to Amsterdam Cheese Museum. Loved it. Excellent service, you can try some cheeses before you buy, very tasty and great price too. I regretted not buying more. The people running the place are excellent. You go downstairs near the till to see the museum which explains a history of cheese making in the Netherlands. Back upstairs at ground level you get to sample every single cheese they sell so it's a really great place to get to know your Dutch cheese, especially all the different types of Gouda you can buy. A touristy but fun place along Prinsengracht across from the Anne Frank House is the Amsterdam Cheese Museum which is open daily from 9am to 7pm daily. Technically this is called a museum and there does exist as a single room exhibition gallery in the basement. However, what you mostly find here is a tourist friendly cheese shop with loads of Gouda and other similar Dutch cheese varieties. The good part - you are free try as many as you like and there are quite a few available. Staff are friendly and not pushy at all. They can explain any of the cheeses if you are interested. Otherwise, they leave you alone to see and try their cheeses. In the end, It is all a very casual experience and easy place to try and maybe buy Dutch cheeses. It is worth a quick stop even if you're not planning on buying anything. This place it's simply amazing! You can taste many kinds of cheese and then go to little museum, where you can find out many interesting informations. Thumb up! Not really a cheese museum more of a shop that sells cheese. They do have a nice selection of Dutch cheese and some unusual smoke Edam.